Dr. Syuzanna Vasilyan, Jean Monnet Chair of European Studies and Assistant Professor, American University of Armenia The South Caucasus is a geographical ‘region’ given the Caucasian mountainous range, yet, it has been under political ‘construction’ through externally induced political rhetoric. Internally its anima is not in harmony qua ‘inter-dependence’ (even merely technical or economic, if not political or in terms of security) among the three states that comprise it. This has been especially evident due to the lack of diplomatic relations between Armenia and Azerbaijan (with the latter conditioning cooperation on the resolution of the Nagorno-Karabakh conflict; favouring the principle of ‘territorial integrity’ over the ‘right of people to self-determination’) and Armenia and Turkey (given the call for recognition of the Armenian genocide and Turkey falling prey to the resolution of the Nagorno-Karabakh conflict to the advantage of Azerbaijan). As a result, despite numerous efforts at regionalization undertaken by international organizations (the United Nations, Organization for Security and Cooperation in Europe, Council of Europe), as well as great/middle powers (United States, the European Union (EU) and its member states and Russia), regionalism remains a panacea. How can this be explained given the plethora of regional frameworks and initiatives aimed at the materialization of regional cooperation? To contextualize, since the collapse of the Soviet Union the EU has aimed at ‘regionalizing’ – hereby defined as the promotion of regional cooperation from outside – the South Caucasus. The instruments that the EU has put into use have been numerous and multivariate, bilateral and multilateral. 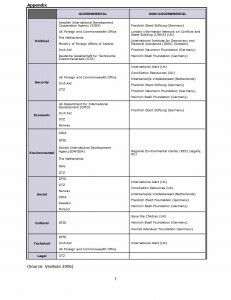 Previously this was through TACIS (Technical Assistance to the CIS) (1991) which was composed of two sets of programs, i.e. a) TRACECA (Transport Corridor Europe-Caucasus-Asia) (1993) and INOGATE (Inter-State Oil and Gas Europe) (1999), which are trans-regional projects but to which all the three regional countries have subscribed, and b) Customs, Institution Building Partnership Program, TEMPUS, Policy Advice Program, Managers’ Training Programme, Bistro, and the Nuclear Safety Program, which were tailor-made for specific countries based on bilateral interests. The two sets differed both in their spatial (in terms of the geographic area of coverage) and temporal characteristics: the former set is supposed to be long-term, while the latter are (despite variance within itself) short-term. With the help of the Partnership and Cooperation Agreements (PCAs) (1999) and the European Neighbourhood Policy Action Plans (APs) (2006), signed with the Armenian, Azeri and Georgian governments, as well as the Association Agreements (AAs) and the Deep and Comprehensive Free Trade Agreements (DCFTAs) together with the Civil Society Forum and Euronest Parliamentary Assembly under the Eastern Partnership that the Union proposed to the countries in its eastern neighbourhood, it has tried to facilitate intra-regional (people-to-people contacts, cooperation among the South Caucasian states and de facto states of Ankhazia, South Ossetia and Nagorno-Karabakh), cross-regional (TRASECA and INOGATE as geographical programs), trans-regional (comprising, among others, EU member states and the South Caucasian states, e.g. the Black Sea Economic Cooperation (BSEC) as a political/institutionalized framework) and inter-regional (Baltic Sea/Black Sea/Caspian Sea) cooperation (Vasilyan 2009b). 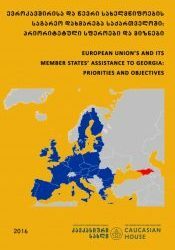 The EU, together with its member-states, governmental agencies and non-governmental agents stands out as one of the most significant proponents of fostering regional cooperation in the South Caucasus in different domains of public life, i.e. political, security, economic, cultural, environmental, technical, etc. (Appendix, Vasilyan 2006). Although ‘ambitious’, the Union itself has fostered regional cooperation with ‘modesty’ (Vasilyan 2009a) targeting all spheres and various groups of countries through the allocation of funding for regional projects. In 2008-2013 the EU allocated over 7 million euros to Armenia, Azerbaijan and Georgia together for regional cooperation in the sphere of the environment and 6 million – for technical border management. The environment has been the priority and the most feasible area for the involvement of all the three South Caucasian states. For the Eastern Partnership between 2007 and 2017 around 3 million euros has been disbursed for the energy sector, roughly around 35 million for economic activities by small and medium sized enterprises, 6 million for technical cooperation, 4 – for political, 10.5 – political/technical, 17.5 – the environment, 29 – social, 3 – social/political domain centered on youth, and around 1 – for security. The economic field has thus been superior to the social one, which comes second, followed by the environment, with security being the least important sphere. 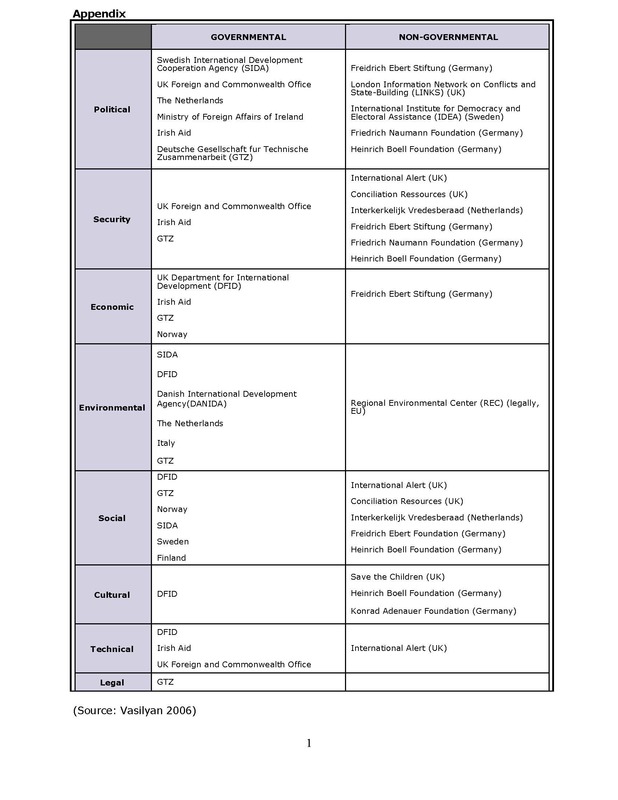 Where the Eastern Partners are grouped with Russia the allocated amount constitutes around 28 million for the environment, 12 – for cultural activities and 2 for security in the 2008-2015 period. The EaP plus Russia and Turkey have received 10 million euros for technical cooperation as the most low-key grouping in 2013-2014. In 2011-2015 around 52.5 million euros (with circa half of that sum directed solely to the southern periphery of the EU’s political neighborhood most likely to support the Arab Spring) has been disbursed for political activities by civil society, and around 4 million for technical purposes. In the ENP plus Russia format in 2007-2014, 583 million euros have been provided for cultural purposes, primarily education, 6 million – for the environment, 2 – political/technical, 14 – technical, 6 – environmental and 5.7 – for political objectives. For the EaP and Central Asia together energy and the environment have been granted 7 million euros and the environment only – 2.5 million in the 2009-2014 time-frame. In the case of the EaP with Central Asia and Russia 5 million euros were channeled for the environment through 2008-2011. The EaP (except Belarus) and Central Asia have been allocated about 14 million for 2011-2015. The EaP (except Belarus) plus Central Asia, Turkey, as well as Bulgaria, Romania have benefited from 4 million euros in the field of transport throughout 2013-2015. Around 6 million has been targeted at energy cooperation in 2009-2012 among EaP and Central Asia (except Kazakhstan). In 2010-2014 the EaP and Central Asia (except Uzbekistan and Turkmenistan) have been attributed 5 million euros in the field of energy. The EaP (except Belarus) together with Russia and Central Asia (except Uzbekistan and Turkmenistan) have been granted around 3 million in the environmental sector (EU Neighborhood Info Center 2014a, 2014b). The rationale for this cobweb and gamut of regionalization efforts rests on the following: firstly, in terms of substance, the Union is a regional actor and representing a model for replication naturally embarks on regionalization as a venture that is ingrained in its essence; secondly, as far as the form is concerned, the EU has done so for the sake of ease, i.e. speaking to a group of countries is more beneficial since it minimizes the transaction costs, specifically, the time and energy required for political dialogue; thirdly, qua process, this ensures technical standardization thereby ensuring conformity with its norms, rules and practices and eventually, assuring regional transformation. As far as ‘regionalism’ – hereby defined as an internal attempt at fostering regional cooperation from within – is concerned, on the South Caucasus side, at the ‘top’, there is the simultaneous existence of non-EU-generated cooperation schemes, namely, the Commonwealth of Independent States (CIS), Collective Security Treaty Organization, as well as the revived CIS Customs Union and pending Eurasian (Economic) Union, which have been Russian-led initiatives; the Black Sea Economic Cooperation (BSEC), initiated by Turkey; as well as GUUAM, and Community of Democratic Choice, largely supported by the United States, with deferring membership of the South Caucasian states. These have made the EU’s conceived regionalization scheme complex if not impossible. 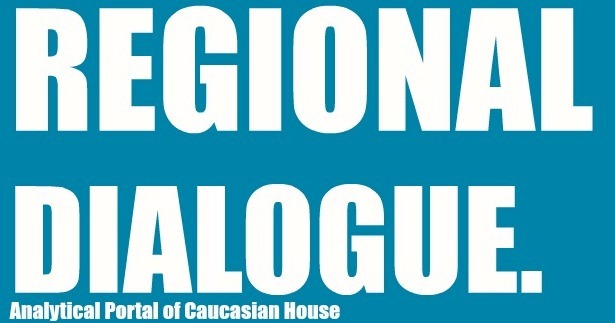 Concurrently, the efforts of South Caucasian NGOs, such as the Turkish-Armenian Business Development Council (TABDC), the New Neighbours project of the Armenian Center for Public Dialogue and Development, and the South Caucasus Integration – Alternative Start have intended to facilitate regional cooperation at the ‘bottom’. The table below shows South Caucasian public interest in a greater EU role in regional cooperation. Whereas the Georgian public is more willing to see the Union become a stronger actor encouraging regional cooperation, a lower percentage of Armenians desire this, while in the case of Azerbaijan support is even weaker. The following table shows how many times the phrase ‘regional cooperation’ appears in the National Security documents of Armenia, Azerbaijan and Georgia. The difference can be explained by the fact that while Georgia is best connected with all the three countries of the South Caucasus, it has less keenness to underscore regional cooperation as an aspiration than Azerbaijan and to a much lesser extent than Armenia, which is landlocked and isolated from energy and transportation networks. Meanwhile, internally the discourse underpinning ‘regional cooperation’ differs. 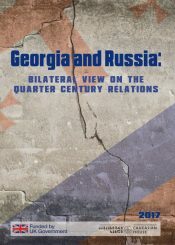 Georgia is interested in ‘deepening regional cooperation and developing a common economic space and market’ for the sake of stability, while largely positioning itself as a ‘Black Sea littoral state’ (Ministry of Foreign Affairs, p. 17). Armenia, in its turn, highlights ‘the readiness of the Council of Europe to promote inter-state and civil society contacts in the South Caucasus’ (Ministry of Defense, p. 13), ‘the efforts of the United States in establishing greater stability and security’ (p. 14), ‘economic and social development, European integration, resolution of the Nagorno-Karabakh conflict, regional stability’ in partnership with European states (p.14), and emphasizes the importance of the ‘creation of regional security system’ (p. 15) aka ‘unified mechanisms for security, stability and communication’ (Ibid. ), the fact that cooperation can be assured through ‘regional stability’ (Ibid. 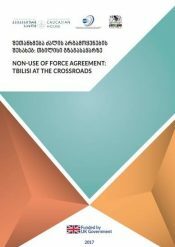 ), ‘the closed border with Turkey’ and ‘absence of normalized relations’ (in the negative sense) as undermining security and stability, respectively (p. 7), as well as Azerbaijan’s policy of ‘exclusion of Armenia from all projects’ as detrimental (p. 17) as contrasted with confidence-building with the help of contacts and visits (in the positive sense) (Ibid.). In comparison, ‘international transportation and communication corridors’ (once in general (Ministry of Foreign Affairs, p. 3), then specifically in reference to the ‘Baku-Tbilisi-Kars railway’ (p.13)), ‘including the construction of oil and gas pipelines’ (p. 3) underlie Azerbaijan’s understanding given the importance these can have for stability and peace (twice in the negative (p. 7, 12), then once in a more positive sense (p. 12)), then refers to GUAM as crucial for democracy and economic development (p. 13). This discourse illustrates that the strategic visions in the South Caucasus are not in sync with one another. 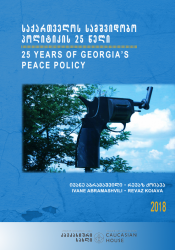 More specifically, the latest choices in favor of the AA/DCFTA in the case of Georgia in November 2013, Armenia’s abrupt change of foreign policy course towards the Customs Union/Eurasian Union in September 2013 and Azerbaijan’s preference for a strategic partnership manifest the discrepancies of the present political stances. Such an apposition of the EU’s regionalization policy and the lack of tendencies oriented at regionalism demonstrate divergence rather than convergence underneath the notion of ‘regional cooperation’ and explain why the South Caucasus is ‘torn apart’. The guise of regional cooperation, directed by different ‘proactive admirers’ reinforces competition among the South Caucasian states and incites tension within the ‘region’ becoming destructive and thereby stagnating rather than giving impetus to regionalism. In this environment, the EU’s endeavors of ‘reactive courtship’ do not help to constructively excite cooperation in the South Caucasus. ————————————————————————————————— Bibliography EU Neighborhood Info Center (2012), EU Neighbourhood Barometer: Azerbaijan. Accessed February 28, 2014: http://euneighbourhood.eu/wp-content/uploads/2013/03/FactsheetENPI_wave2-AZ-EN1.pdf EU Neighborhood Info Center (2013a), Most Armenians want greater EU role, poll finds. Accessed February 28, 2014: http://www.enpi-info.eu/maineast.php?id=32838&id_type=1&lang_id=450 EU Neighborhood Info Center (2013b), EU-Georgia: poll finds vast majority of Georgians want greater EU role. Accessed February 28, 2014: http://www.enpi-info.eu/maineast.php?id=32842&id_type=1&lang_id=450 EU Neighborhood Info Center (2014a), Regional Projects List. Accessed. Accessed March 5, 2014: http://www.enpi-info.eu/list_projects_east.php? EU Neighborhood Info Center (2014b), Previous Projects. Accessed. Accessed March 5, 2014: http://www.enpi-info.eu/maineast.php?id_type=2&id=648 Ministry of Foreign Affairs of Georgia (2005), National Security Concept of Georgia, Tbilisi: Ministry of Foreign Affairs of Georgia. Ministry of Defense, Republic of Armenia (2007), Republic of Armenia: National Security Strategy, Yerevan: Ministry of Defense. Ministry of Foreign Affairs, Republic of Azerbaijan (2007), National Security Concept of the Republic of Azerbaijan, Baku: Ministry of Foreign Affairs. Ministry of Foreign Affairs of Georgia (2012), National Security Concept of Georgia, Tbilisi: Ministry of Foreign Affairs of Georgia. Vasilyan, Syuzanna (2006), ‘The Policy of Regional Cooperation in the South Caucasus’, Working Paper 24, Buenos Aires, Argentinean Center of International Studies. 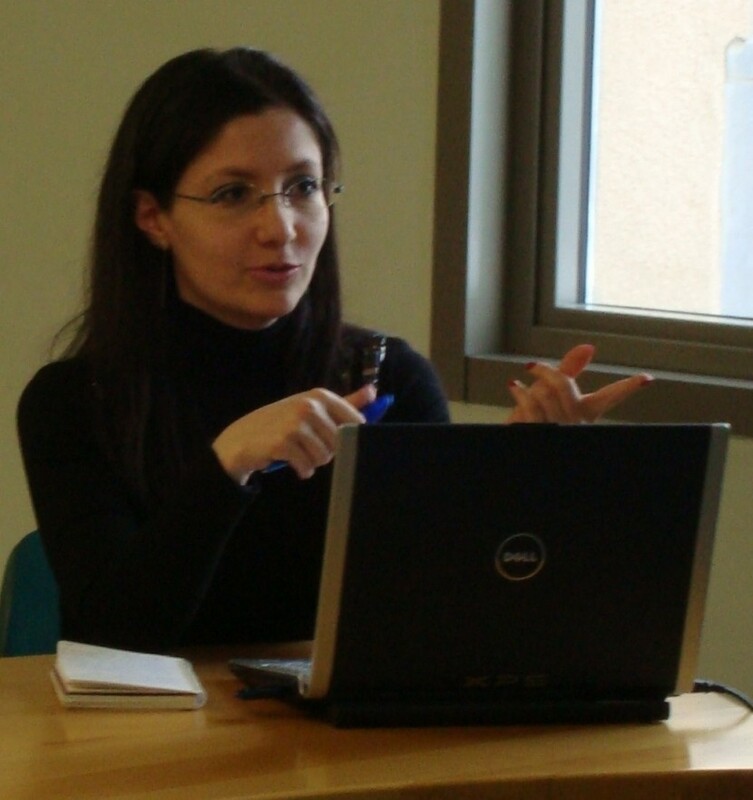 Vasilyan, Syuzanna (2009a), ‘The EU’s Promotion of ‘Regional Cooperation’ in the South Caucasus – Modest but Ambitious’, International Affairs Forum, Centre for International Relations, 2009: http://www.ia-forum.org/Content/ViewInternalDocument.cfm?ContentID=6622 Vasilyan, Syuzanna (2009b), ‘The EU’s Ambitious Regionalization of the South Caucasus’, in De Lombaerde, P. & Schulz, M. (eds) The ‘Makability’ of Regions: The EU and World Regionalism (Farnham: Ashgate), 205-221.